A native of Baltimore, Tom Williams has led a sparkling and varied career since he began studying trumpet and drums as a child. His talent was recognized at an early age by many, and he began working steadily on both trumpet and drums while still a high school student. After matriculating at Towson State University, Tom joined the renowned Duke Ellington Orchestra, under the direction of Mercer Ellington, with whom he played the national tour of the Broadway smash “Sophisticated Ladies”, also touring Japan with the road company. In 1987 he enlisted in the US Army and served 8 years as a featured soloist with the “Jazz Ambassadors” and “Army Blues ”jazz ensembles. In 1991 he was a finalist and 2nd place winner in the first Louis Armstrong International Jazz Trumpet Competition sponsored by the Thelonious Monk Institute of Jazz. A versatile performer, Tom has played in the show bands of Pattie Labelle, Liberace, Anita Baker, Sid Caesar, Joe Williams, Stevie Wonder and Rosemary Clooney, to name a few. 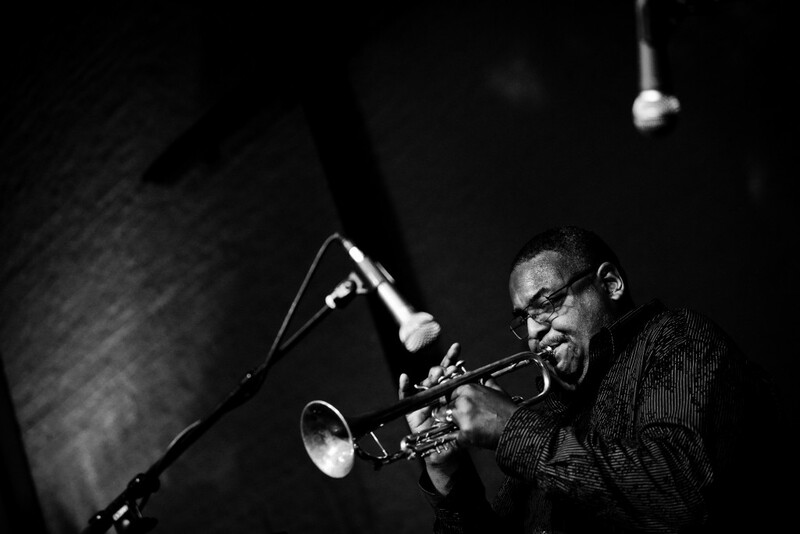 He has appeared at numerous jazz festivals and venues with artist such as Donald Brown, Hank Jones, Philly Joe Jones, Gary Bartz, The Vanguard Jazz Orchestra, The Carnegie Hall Jazz Band, Michel Legrand, Ben Riley, Steve Wilson, The Woody Herman Orchestra, Frank Foster, Antonio Hart, Slide Hampton, and Steve Turre. Tom has recorded with Rob Bargad, Gary Bartz, Donald Brown, Antonio Hart, Jimmy Heath, The Heath Brothers, Larry Willis, and Steve Wilson. He can also be heard on the theme music for the PBS television shows “Washington Week” and “Motorweek”. He is mentioned in the book “The Trumpet Kings” by Scott Yannow which chronicles the history of jazz trumpet players. As a leader on trumpet, Tom has recorded two CD’s, Introducing Tom Williams, and Straight Street, on the Criss Cross Jazz™label. As a drummer, Tom has performed with Curtis Fuller, Larry Willis, Javon Jackson, Kenny Drew Jr., Gloria Lynn, Geoff Keezer and is leader of InterPlay, which has recorded “First Time ”and “Pick Up The Pieces ”on the JazzScapes™label. Tom served as the Jazz Drum Set instructor on the Jazz Faculty at Howard Community College from 2009-2011, is currently the Jazz Trumpet instructor at the University of Maryland Baltimore County and is the 2014 recipient of the Benny Golson Jazz Master Award.